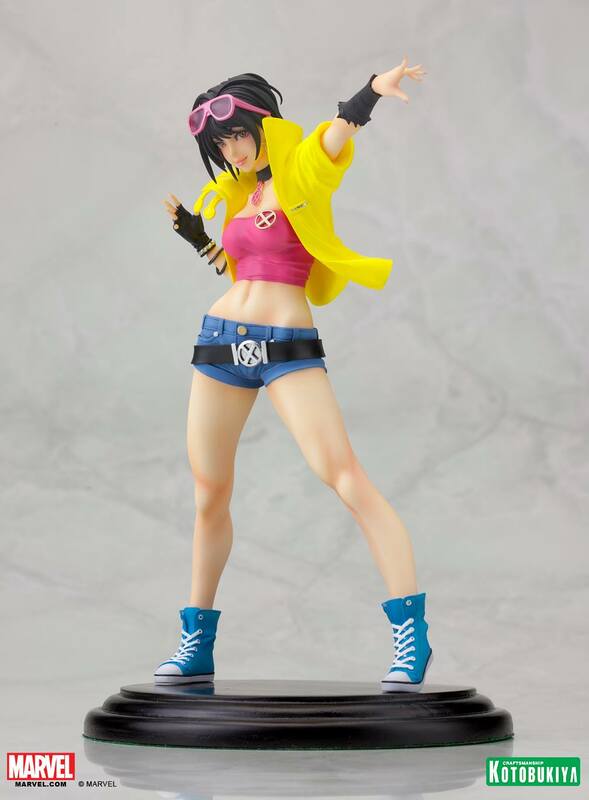 Bringing a burst of light to the Marvel bishoujo statue line, Jubilee of the X-Men arrives to brighten the shelf of your collection! First appearing in Uncanny X-Men #244 (1999), Jubilee can project pyrotechnic energy. 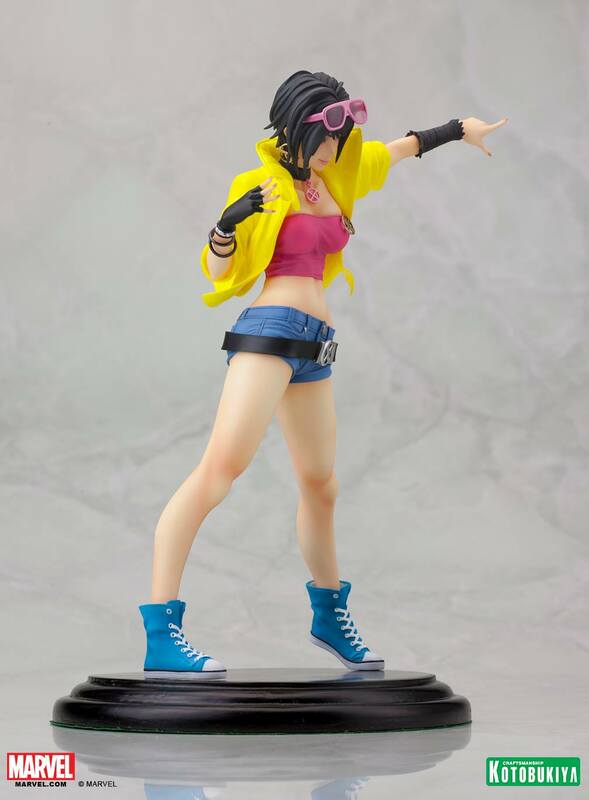 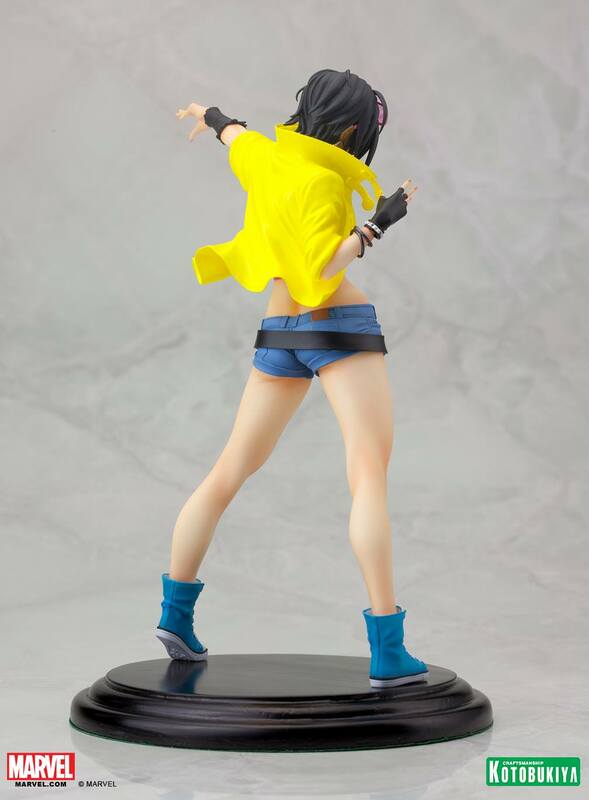 In this statue, which is designed by Shunya Yamashita and sculpted by Gotaro Takeuchi, Jubilee’s bouncy 80s style carries over into her colorful costume. 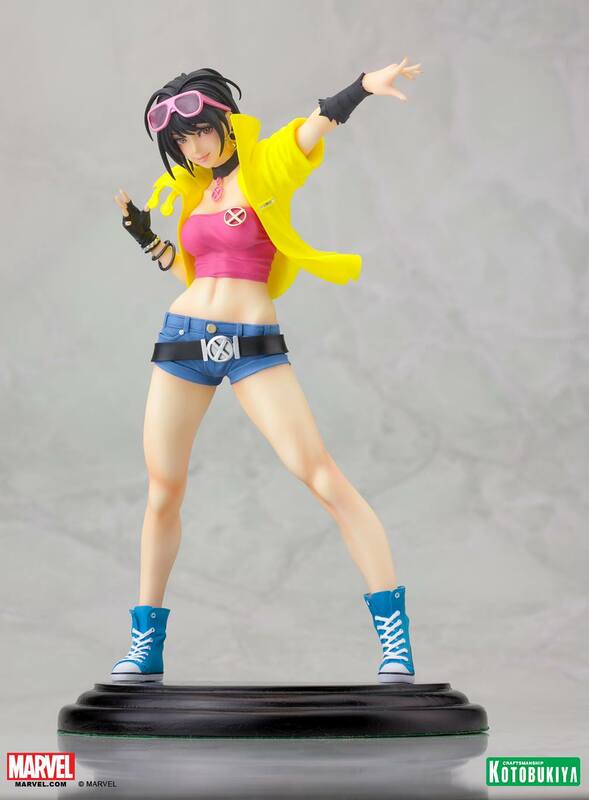 Her bright yellow jacket and hot pink top are bubblegum perfect for the plasmoid-firing mutant. 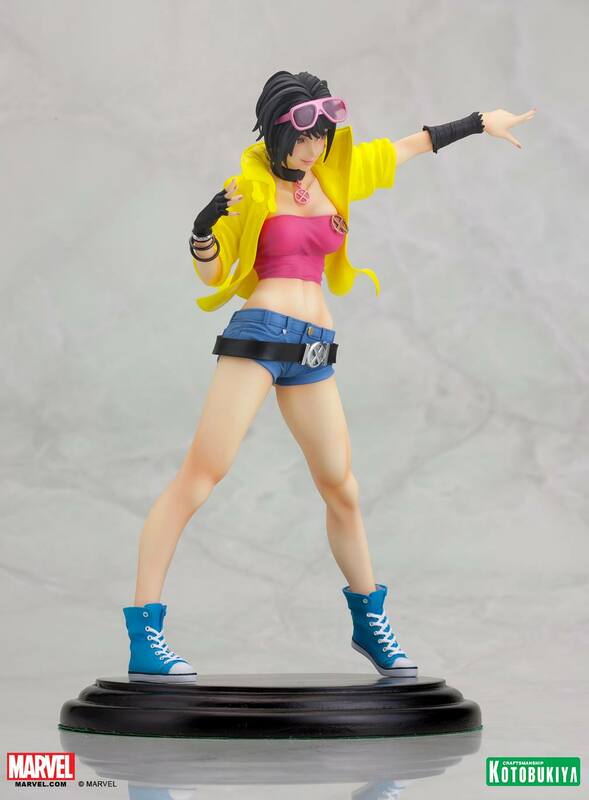 Jubilee’s short shorts and black leather belt also give her a punk rock style along with her big pink-framed glasses that rest on her head. 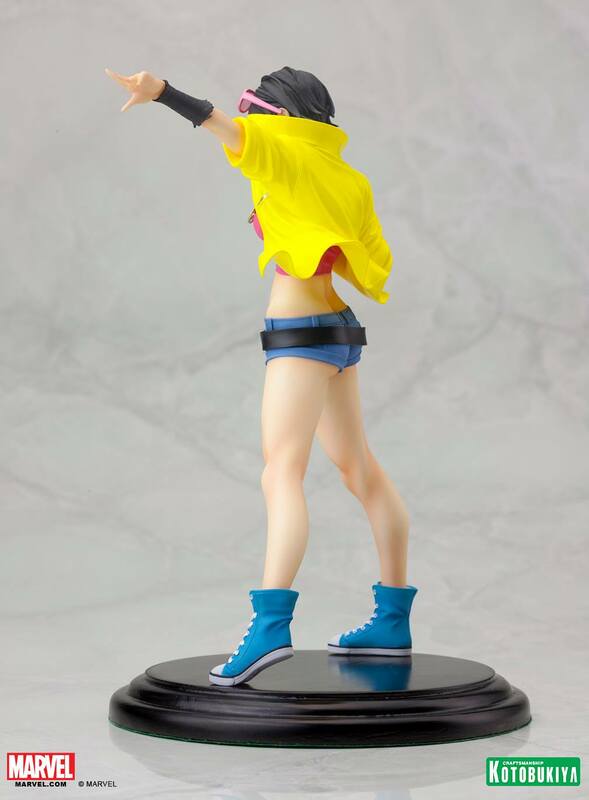 She stands legs apart and arm outstretched, ready to prove herself a worthy addition to the X-Men! 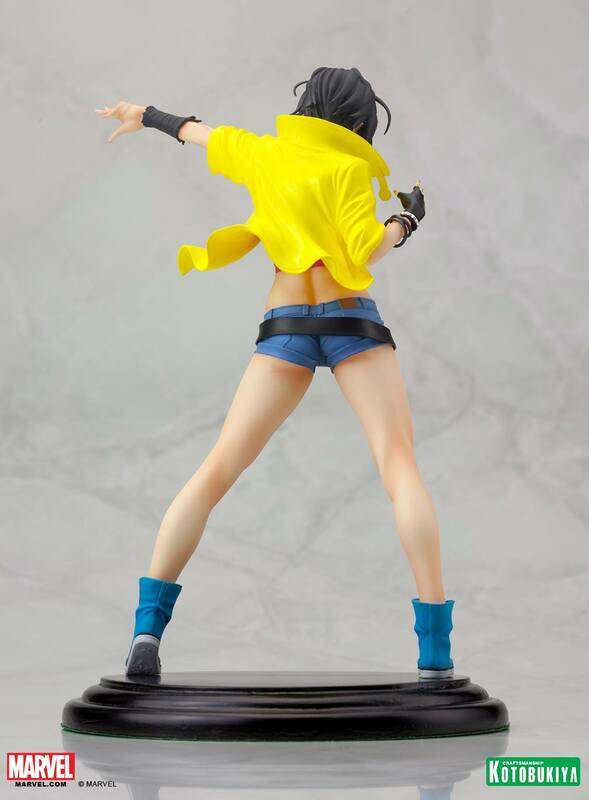 This statue stands just over 8 1/2 inches tall. 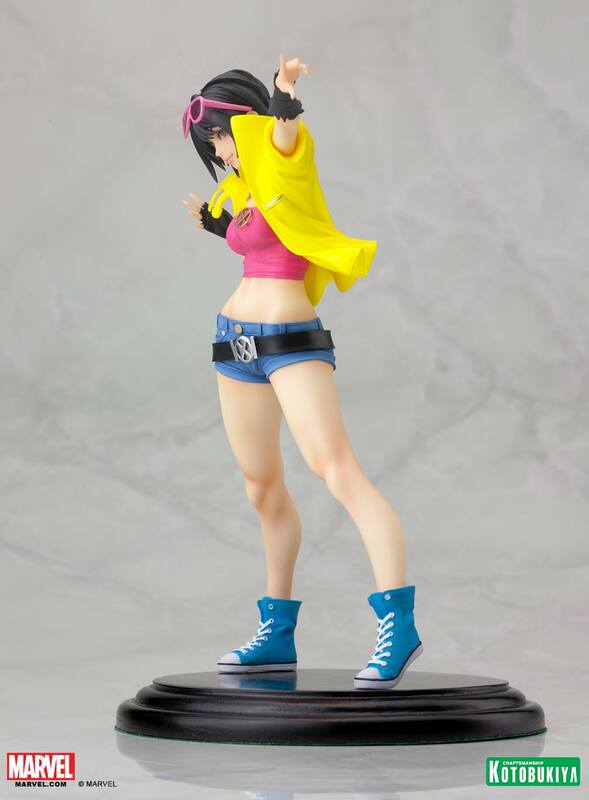 Add Jubilee to your Marvel bishoujo statue collection today!